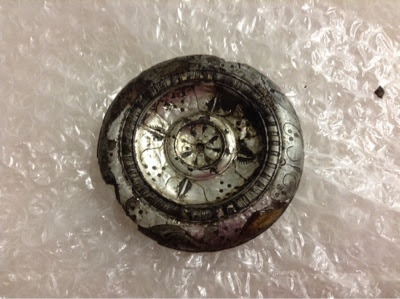 It got better out came the artifacts at the end of the class. 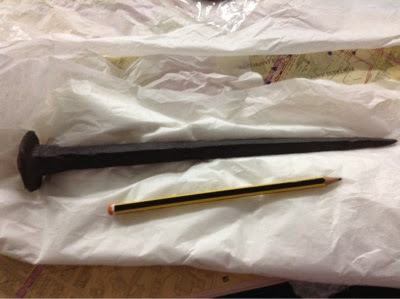 The first was an iron nail used in making the wooden forts. 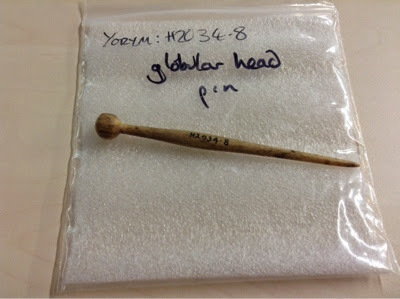 Then came a bone hair pin which are made from the leg bones of cows/horses this was dated before AD 410 my Hubby asked how he knew it was not Viking and it has to do with the shape of the head. 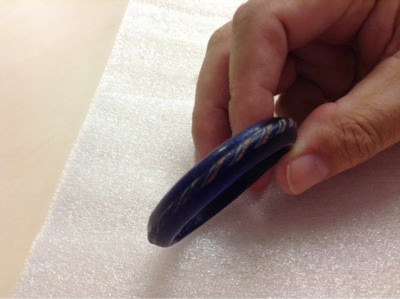 Then we had a mount which would have been decoration on a horses harness. 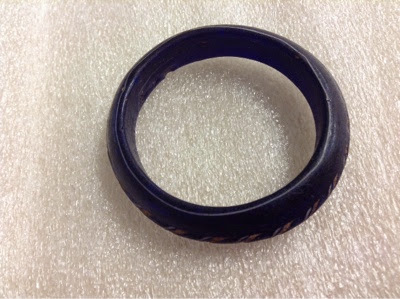 An interesting one was a child's blue glass bangle inlaid with enamel this was a high status piece as the blue glass is very rare and is manufactured in Germany. 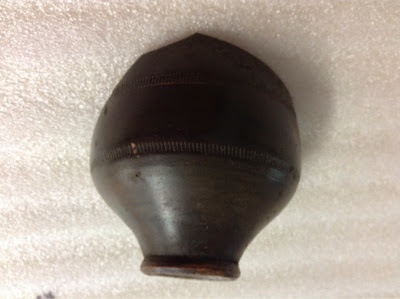 Then a piece of pottery black slip wear which was used as a beer mug AD140. The class is looking up...and your hubby sounds very smart even knowing to ask this question. I really wish I'd taken to history at school. Unfortunately we had a boring as hell teacher who had a deadpan Welsh accent and added 'so they did' at the end of every sentence. i.e. 'The Roman's invaded, do they did' etc. Just for the record I adore a Welsh accent, it was only hers that could drive a rational person to suicide. Sad that such a fascinating subject could forever be ruined for me. Lucky you with an unexpected opportunity to sit in the class and have an interested expert at home. Cant wait for the next update! Sounds very interesting. I love watching Time Team and other history programs - the ones that are usually on BBC4!